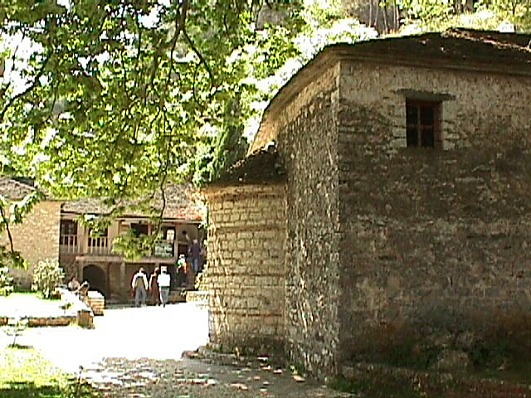 Epirus with its magnificent monuments of the byzantine and the post-byzantine age, needed an appropriate museum to house, display and save all the findings of the old-christian and the byzantine period, the icons, the silver objects, the woodcuts, the books, the ceramic objects and many others. 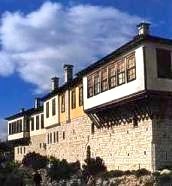 So the building which was built on the south inside cittadel of the castle of Ioannina in 1958 by the architector Alexander Baltatzis, for the kings’ accommodation, it was turned into a museum in 1995. Many painters, craftsmen, woodcarvers and silversmiths who presented their works in the museum of the byzantine and the post-byzantine period. Next to the museum there is a department with exhbits of silver and byzantine art. Mural from the Red Church which is in Vourgareli of Arta. Icons of clay from the church of St. Vasileios of Arta. An old printed book and gospels. Blessing crosses, wallpaintings and many others. It is in the castle at the northwest side of cittadel and is housed in Aslan mosque, which was built in 1618 by Aslan Passas. 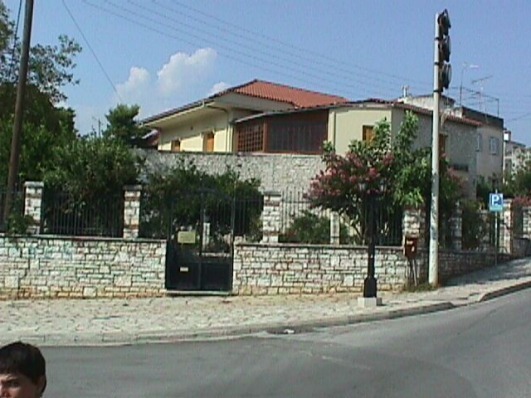 He was a turkish man lived in Ioannina, whose name was Zoulficar, and he was the famous “Good Passas“. 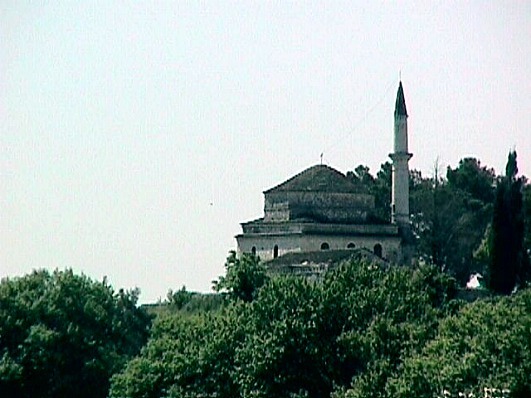 He built the mosque when he was the administrator of Ioannina and in 1611 he supressed the revolution of Dionysius the Philosopher. In the same year (1618), he died happy because he saw the mosque complete. 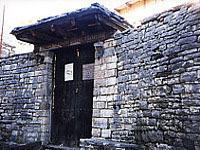 Behind the mosque there is his grave which was called as holy by his correligionists. At the north wall is still saved his abandoned mansion. The objects that are exhibited are: local costumes, weavings, woodcuts, silver objects and others. 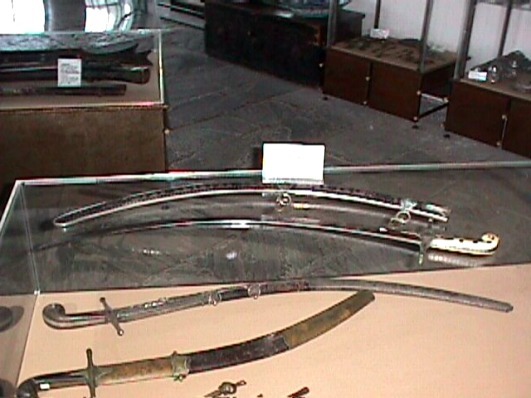 A significant exhibit is Karaiskakis’ sword from Damaskus. 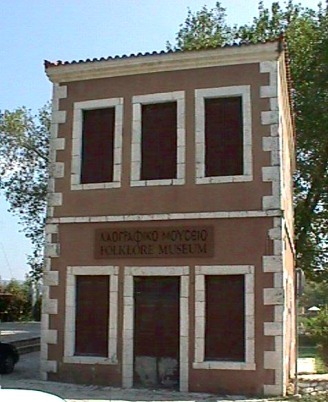 The building was turned into a museum in 1933 and was reconstructed in 1957. Note: Before we go to the Museum, on the left there are turkish quarters (Soufari Sarai) and on the right ruined baths (hamams) and a renovated library. 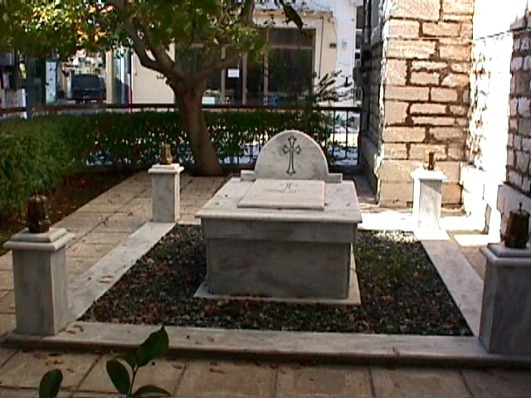 In the yard of the museum are saved the graves of prominent turkish persons and the grave of Aslan Passas . It is also an one-storey bulding that in the past was a turkish semninary. 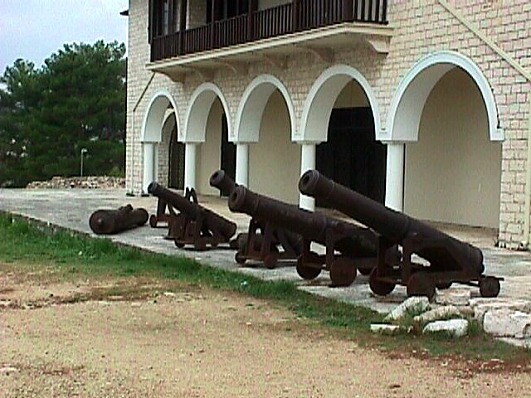 Cannons and bullets of that age are fallen on the ground. The ΑArcaheological Museum of Ioannina is a building of 1970 and was built so as to house the findings of the archaeological sites of Epirus. 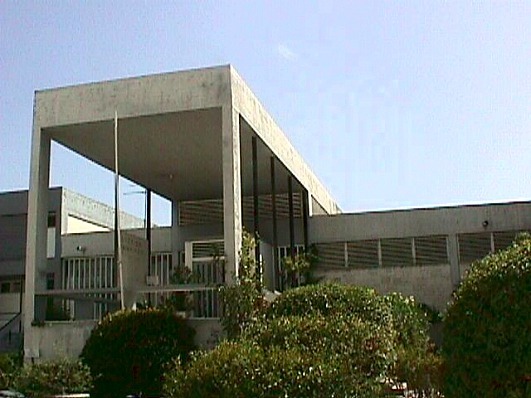 It is behind the central building of the National Banj of Greece at Litharitsia park and is a piece of work from the big creator and architector Aris Konstantinidis. From the regions of the paleolithic age like Asporchaliko, Kastritsa and Kokkinoplio. 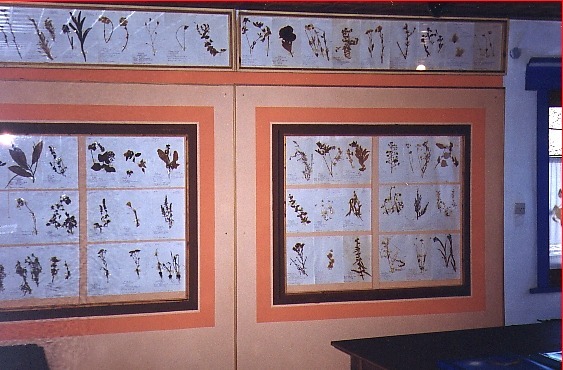 Findings from Dodoni, the necromancy of Acheron river, Vitsa of Zagori, Votonosi, Katamachi, Stefani, Dourouti, Pogoni, Michalitsi of Preveza, and from other regions of Epirus. Significant is also the collection of coins from Epirus, of various periods of time. The hall D’ is dedicated to the objects of folk art from the Byzantine and the post-byzantine period (miniatures, silversmith, guns, etc.) Objects and signs from the archaeological sites are displayed at both patios. The last hall has works of greek artists. Many exhibitions and conferences take place in the museum which operates also as a gallery. Bronze water vessel, by a graveyard from Vitsa of Zagori, 540 – 520 B.C. Golden ring, silver plated of the 5th century B.C. Marble funerary statue of the 4th century B.C. Bronze wrought helmet of the 4th century B.C. Funerary signed column (it was found in Plaisia village of Ioannina), from the beggining of the 2nd century B.C. Marble sarcophagus (it was found in Ladochori of Thesprotia), of the 2nd century A.D. 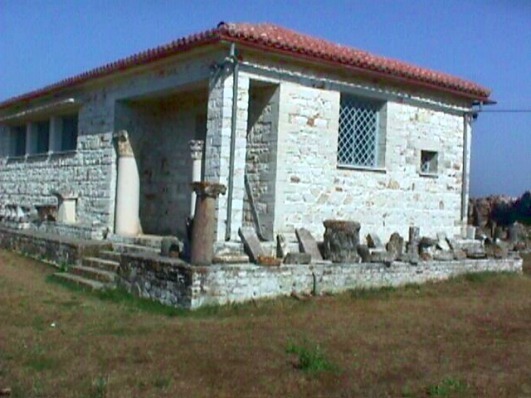 It is located at the place of ancient Nicopolis, 8 km. northeast of Preveza. Among the exhibits there are: Statues, sarcophaguses and many other objects. The findings are from the Archaic, Roman and Byzantine period. 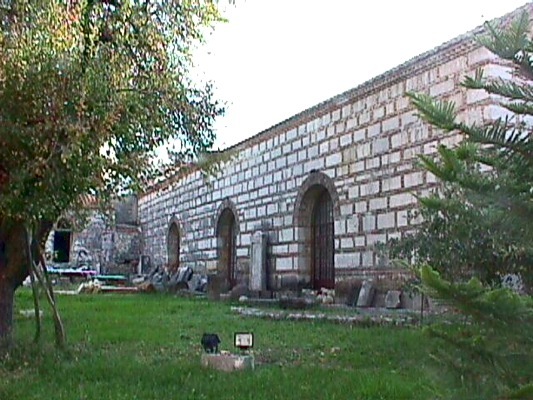 Findings from Nicopolis are also exhibited at the Archaeological Museum of Ioannina. 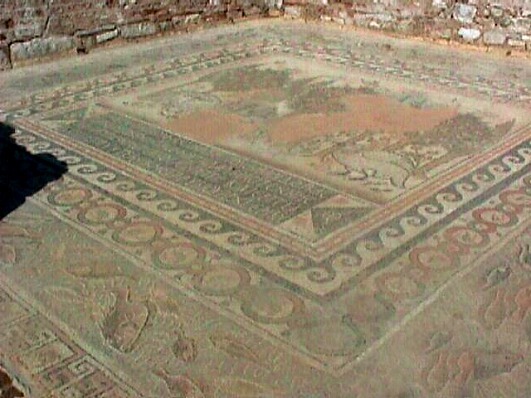 Near the museum there are the fantastic mosaics from the prechristian period. 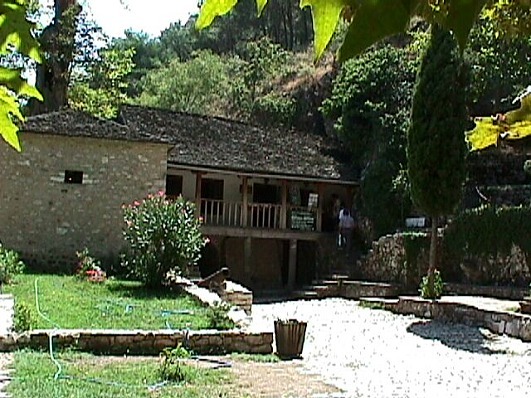 The museum of Natural History of Skoufas is at the west part of the bridge of Arta and is at distance of 1 km. from the city. It is housed in a newclassic owned of 1864 which was built by an Austrian achitector. In the beggining it was a barrack, later it became an outpost for the passage from the bridge and a turkish customs when the greek borders were at Arachthos. Finally, it was given by the Ministry of Finance to “Skoufas” association. It was renovated and since 1983 is open as a folk art museum with a large number of exhibits (because of the lack of space many of them have been stored). 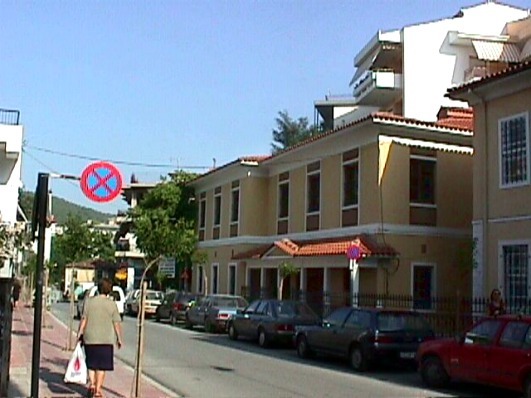 The Folk Art Museum of the Association of the Research of Epirus is housed in a building at Michael Aggelos st., at the city of Ioannina. 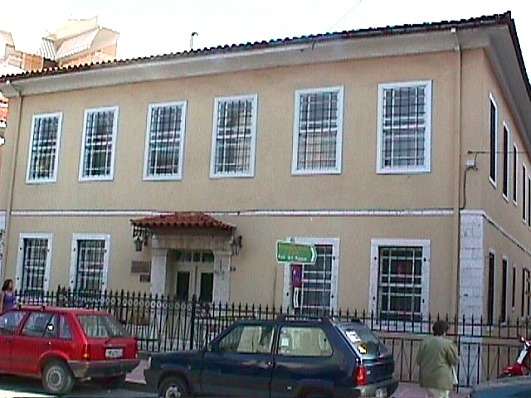 This building, built in 1800 about, housed until 1976 many schools (it also housed a turkish school). It was bought by the Association of Research of Epirus from the state. 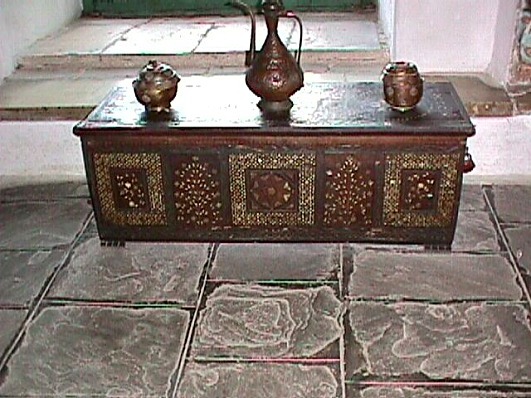 The building was renovated with a goal to keep safe the rare objects of the folk art of Epirus, such as local costumes, jewels, tools, etc., which with a lot of patience and labour they were gathered for decades by the late president of the Association of Research of Epirus and lawyer, Kostas Frontzos. Here, in the building that is saved till today the little monastery of St. Panteleimon at the island of Pamvotis lake resortes Ali Passia with a few devoted servants and with lady Vasiliki. According to the tradition. the castle of Ioannina was connected to the Island through an underground tunnel. At this place was written the end of his adventurous life when a ship with soldiers under the command of Choursit Passa arrived here for negotiations and a firman – indulgence, but when they came to the hall, they pulled the trigger and killed Ali Passia. After a harsh battle on 17th January of 1822, followed a general massacre. Ali’s head was sent to the Sultan. Lady Vasiliki was also sent to the Sultan, but later she was set free and died at the region of Aitoliko in Mesologgi. On the floor of the museum you can see the holes of the bullets that killed Ali. The visitor will also see many objects of that period in the museum. The historical museum of Skoufas is located at Skoufa square of Arta, next to the church of Virgin Mary Parigoritissa. 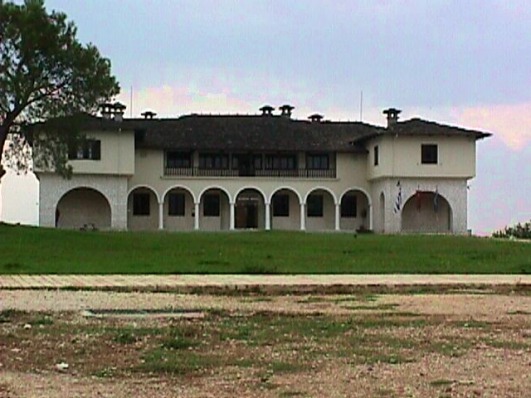 It is housed in an owned building of Skoufas Club, which donated it Peter Garoufallias (Garoufaleios fund). In the museum there is also a library with rare books.